I’m still always on a crusade to find one. For me, ‘The Holy Grail’ is a natural product that can solve many problems and does so equal to or better than the leading stand-alone product for that issue. I’ve been constantly disappointed over the years. That is until Frankincense Essential Oil recently saved me from the worst upper respiratory infection I’ve ever experienced! And because I’m not used to being sick, my world crashed around me when it happened. I tried every natural cold remedy out there. Nothing was working. After 7 days of no sleep and seemingly getting worse, I started to consider taking antibiotics… something that I really didn’t want to do. And all of a sudden it came to me… Frankincense. Although I have been using essential oils for years, I had never used Frankincense or even known anything about it other than it was a gift for the Baby Jesus. I’d tried everything else, so even though I didn’t know if it would do anything… I decided to give it a try. It took all the energy I had but I knew I had a bottle and found it. I rubbed the oil on my chest and started diffusing it right next to me on the couch where I was lying. And then it happened… relief!!!! It cleared my nasal passages and opened up my bronchial tubes so I could breath. That was truly amazing. But what really gave me the most relief was the calm peacefulness it brought over me. I finally slept… it was blissful! Over the next few days, I kept diffusing Frankincense oil in close proximity to where I was and rubbing it on my chest and under my nose. Quickly, I was better and started researching this divine oil. I wanted to know everything about it because I had never experienced anything like it. Frankincense Essential Oil is made by distilling the resin of the Boswellia tree. The history of this divine oil is fascinating. It has been referenced in ancient texts, dating back more than 5000 years. And it’s the most referenced oil in the bible. It shows up repeatedly in the works of important ancient healers, like Pliny, Dioscorides and Avicenna. It’s been touted to be beneficial for everything from skin conditions to dental disease, to respiratory issues and digestive troubles. We all know it was given to the Baby Jesus by the three wise men. And Cleopatra used it to make her trademark eyeliner. This sacred and therapeutic oil has been worth more than gold for much of human history. Frankincense has been used in health care throughout the ages, due to it’s powerful phytochemicals. One in particular is Boswellic Acid. Many studies have shown its ability to act like a Cox 2 inhibitor to reduce inflammation in the body without the unwanted side effect of damaging the gut lining. Boswellic Acid reduces inflammation by blocking the lethal enzyme 5-lipoxygenase (5-LOX) and decreases the activity of human leukocyte elastase (HLE). And this goes beyond Autoimmune conditions. Basically any disease ending in -itis – a suffix used to denote inflammation – can be helped with the use of Frankincense. Frankincense also contains compounds called sesquiterpenes, which have the ability to cross the blood-brain barrier and deliver these powerful anti-inflammatory compounds to the brain. Thus, potentially protecting from diseases like Alzheimer’s and Multiple Sclerosis and reducing inflammation after brain trauma. Frankincense protects skin at the cellular level and therefore makes it an excellent candidate for all your beauty needs. It can improve skin tone, reduce the appearance of fine lines, wrinkles and large pores, and fade scars and stretch marks. And it’s astringent and antibacterial properties make it great at busting blemishes and stabilizing sebum. For clear and radiant looking skin, add a few drops of Frankincense to your favorite facial moisturizer. Or make your own beauty elixir by adding a few drops straight to sweet almond oil if you have normal to dry skin, or jojoba oil if you have oily skin. Emperor Nero used it to hide the tell-tale signs of nights of debauchery, by dabbing Frankincense around his eyes. The oil firms the skin and reduces puffiness making it an excellent addition to any eye cream. One of the active compounds in Frankincense is Incensole Acetate, a neuro-active chemical that has a profound effect on emotions. It’s believed to be able to communicate with the limbic system to influence the nervous system and has been shown in animal studies to relieve anxiety and depression. Many report that Frankincense has the ability to stabilize mood – grounding and relaxing yet invigorating and elevating at the same time. If you find yourself moving into a fearful or negative space, or dealing with a bout of anxiety or depression, try placing 2 drops under your tongue upon waking. You can rub the oil on the bottoms of your feet to reduce nervous energy. Frankincense can also be very sedating, if used right before bed. To drift effortlessly into a restful sleep, diffuse Frankincense in your bedroom at bedtime. It’s also great at nap time for young children (who would rather be playing then napping). 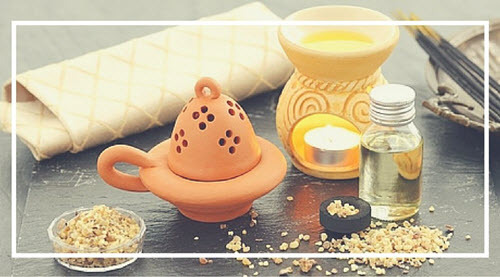 Frankincense has been used throughout history in religious ceremonies and rituals because of it’s ability to increase intuition and spiritual connection. This is largely due to the psychoactive properties of Incensole Acetate found in Frankincense. This compound has been shown to have anxiolytic, anti-depressive, and sedative effects, which calms and lifts the mood – putting one in a perfect state for meditation. Frankincense has also been recognized as a powerful mindfulness trigger. It’s warm, sweet smell can remind you to break out of an autopilot state and come back into awareness. If you use this consistently during times of meditation, prayer, journaling, or yoga, the pathways in your brain will start to remember and associate the smell with a time to be introspective and open the doors to spiritual awareness. To add a boost to any spiritual or meditative practice, place a drop of Frankincense essential oil on your Third Eye Chakra, located in the middle of the forehead, just above the eyebrows or at the base of your neck. You can also diffuse the oil in the area of your practice. The anti-inflammatory properties of Frankincense have been shown to decrease joint pain, muscle soreness, and arthritis. A study was done showing that an extract of this natural painkiller reduced the pain of osteoarthritis patients, after just 7 days of treatment. To soothe sore muscles or body pains, if you have a chronic condition, or after strenuous workouts, athletic events, or just a long day, massage the essential oil directly into sore muscles and joints. Just add a few drops of Frankincense to a carrier oil, like fractionated coconut oil or shea butter, and rub where needed. 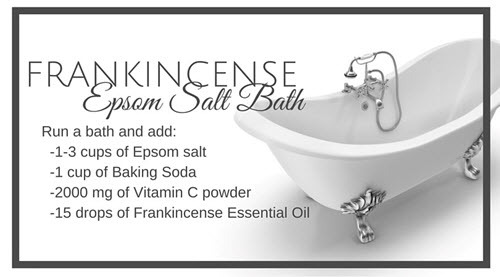 Or go for my favorite pain-busting ritual… an Epsom Salt Bath with Frankincense Essential Oil. Epsom salt baths alone are amazing to soothe sore muscles and relax the body, but adding Frankincense oil takes it up a whole ‘nother notch! Scientist and healers have turned the world upside down looking for a cure for cancer. And while breaking down cancer research is outside the scope of this post, if this is a crusade you are on, I highly encourage you to check out the research being done on Acetyl-11-keto-beta-boswellic acid (AKBA) – a compound found only in Frankincense. Major funding is being pumped into this research and the results are downright impressive – showing high efficacy in treating breast, bladder, colon, skin, stomach, and pancreatic cancers. Are you ready to join me in the Frankincense fan club? Run out to your local health store? Buy them out? Well, hold your horses… we need to talk about quality first. Not all essential oils are created equal and some can be downright dangerous for you! So the responsibility is yours to know what you’re buying and who you’re buying from. You want to look for third-party tested, therapeutic grade, 100% pure essential oils, not synthetic or diluted. Synthetic oils might smell good but they contain no phytochemicals and are not natural or beneficial to the body. I’ve looked long and hard to find what I think is the BEST essential oil company on the planet and I’ve granted that distinction to Rocky Mountain Oils (RMO). 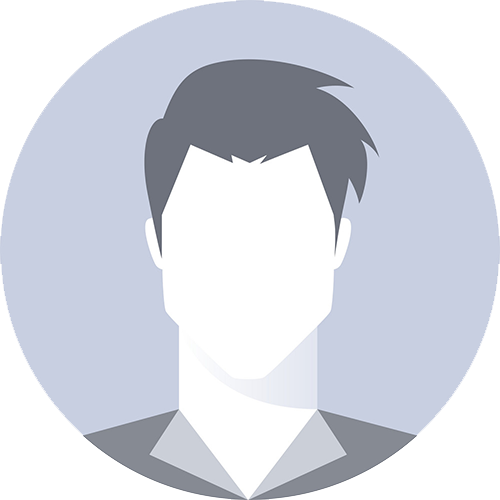 Rocky Mountain Oils (RMO) was created by a bunch of health nerds… just like me!!! They are formulating expertly crafted blends and the purest single essential oils available on the market. They’re on a mission to develop essential oils that are pure and safe for the entire family to use. And they’re doing a darn good job! I also chose them as my go to essential oil source because their commitment to quality is unmatched by any other essential oil company in the market with their S.A.A.F.E. Promise™ and 100% Guaranteed Satisfaction of Quality. They also do third-party GC/MS testing. This is to ensure their oils don’t contain any diluents, contaminants or adulterants, so you can be confident in the quality of your purchase. 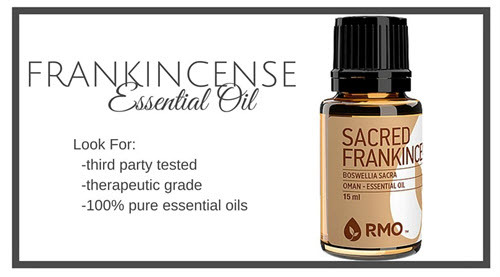 There are several different varieties of Frankincense essential oil and I’ve tried them all. What makes them different is the levels of active phytochemicals they contain. They all smell great, but if you’re looking to use Frankincense therapeutically, you’ll want to make sure you’re choosing a variety high in the phytochemicals we’ve spoken about. My choice is Sacred Frankincense. Sacred Frankincense (Boswellia Sacra) can only be sourced from Oman, a country by Saudi Arabia. The boswellia trees in this area yield a higher quality of resin, and when extracted produces a better oil. Boswellia serrata and Boswellia carterii are the other varieties I like, but only for skin care. I don’t see the same immune and emotional balancing qualities I’ve experienced with Sacred Frankincense. Since Sacred Frankincense is the highest quality variety of Frankincense on the market, you will notice that it is slightly more expensive than other varieties. But remember, you get what you pay for and you’ll need a whole bottle of other varieties to get the same powerful punch you get from a few drops of Sacred Frankincense. Today, we use Frankincense for more than just our first aid, beautifying, and religious needs. We are seeing it used quite successfully for more complex issues, like chronic inflammatory conditions, autoimmune diseases, major stress and anxiety reduction, and it’s even becoming a rising star in cancer research. In ancient times, stories were told to the masses that Frankincense trees only grew in the most dangerous deserts and were guarded by dragons who would annihilate them if they sought to collect the precious resins on their own. Fortunately, today we don’t have to go out and slay any dragons for this sacred oil. There are amazing companies, like Rocky Mountain Oils, crossing the deserts and crafting some of the most therapeutic varieties of Frankincense essential oils for us. So… if all else fails, rub some Frankincense on it! Do you have experience using it? Tell me in the comments below. After years spent in the fast-paced and highly competitive Fashion Industry, working as a Management Consultant, Christine’s health started to diminish. It became increasingly harder for her to be on the road much of the year, supporting her growing international client list. Refusing to go the conventional medical route to regain her vitality, she implemented an Autoimmune Paleo Rotation Diet. She credits this intervention as fully reversing her condition and she has been 100% symptom-free ever since. While researching natural diet and lifestyle modalities for reversing chronic illness, she came across the work of Jordan Reasoner and Steve Wright at SCDLifestyle.com. Their deep passion for creating massive change in the world through educating people on what REALLY works to heal the body from chronic diseases was so inspiring to her that she quickly joined their team. Since then, she has been a part of helping hundreds of thousands of people all over the world with chronic illness. The company has now expanded to train health practitioners on how to create successful online businesses to reach the people who need them most. Last year I was diagnosed with stage 3.5 colon cancer. I had the surgery and a month later started chemo. I was sick every day while taking the treatments, and ended up in the hospital twice (in ICU). My body couldn’t keep potassium or electrolytes nor could it make white blood cells. My Dr. Kept trying to custom the chemo so I wouldn’t have such severe reactions to it………..long story short, I had to quit the treatment 1/2 way through. I felt like I had to do something so I talked to a naturopathic physician, and she recommended 10 drops of frankincense daily. I have been taking it faithfully everyday, and though it is early to tell I feel pretty good and my checkups so far have been positive. I take a brand called Ameo, it is natural and pure also, and, of course, I am hoping it is truly capable of holding cancer at bay??? Thanks for sharing, Patricia and we’re really glad to hear you are doing better! Nice article. Question: whether you are placing a drop of frankincense oil on your third eye or using it on your chest for respiratory relief….do you ALWAYS need to use a carrier oil in order for the body to absorb the frankincense and for the frankincense to be effective? IF YES: can you use raw organic coconut oil as a carrier oil or does it always have to be fractionated? The carrier oil part is where I get confused re: what works / what doesn’t work. Thanks very much! Thank you for sharing your experience. It is also a relief knowing that you are fine after using this Holy Grail. I know that frankincense is good of its anti inflammatory factor, but I was amazed that it also stimulates the regeneration of cells. This post was really informative and full of ideas. I was planning on ordering Sacred Frankincense to use topically, diffused and possibly internally. I have a cat and a dog. Will my using them in ANY WAY be bad for them? This is very important. I need to know…. Hi Naomi – animals are more sensitive to essential oils than are humans. Please don’t give your animals any oils internally or topically without consulting with your vet first, and be sure to keep them out of your pet’s reach. That being said, they are fine for you to use and diffuse, even if you have pets! Thank you for sharing this valuable information! I’m definitely trying this amazing essential oil! My question is, is it safe to use on pets? I have a cat with breast cancer. If so, do I also use it the same ways as human, by diffusing and ingesting and how much/often? Hi Midori – NO essential oils are NOT safe for pets. Please do not diffuse near your pet or administer oils to them! Pets like cats and dogs are very sensitive to EO. I suggest talking to your vet about other options for treatment for your cat – or seeking out a holistic vet! Actually essential oils are quite safe for pets although there are some oils that can be toxic to them. Many vets use essential oils with horses and other animals. My suggestion is that you consult a reference for animals and essential oils. I use my oils on my dog and I diffuse around her too. It is important to always leave an exit to the room where you will be diffusing oils so that your pet has a means to escape if the oils are too strong for them. Their s nose of smell is much more sensitive than outs so what is fine for us may be overwhelming for them. Purity of oils is key. I’m not familiar with the RMO brand but use instead Young Living oils which have the seed to seal guarantee if purity. Always do your research for the use of oils. I did some research and found that frankincense was good for the eyes, such as glaucoma. I am wondering if sacred frankincense would be better? Interesting article, I’m going to look more into Frankincense in the future, and it’s good to know now that I have a source of high quality stuff, as that’s so imperative for using any new supplement to see the true benefits. It state 100 pure organic natural frankincense, but it also says NOT FOR INTERNAL USE. you must mix it with a carrier oil if used on skin. You are stating that it can be taken internally, is there a special one that can be taken internally? I know essential oil companies are very proprietary and can be almost religious about their products. I get that. 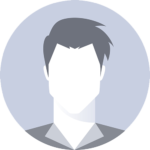 I just want to know how RMO differs from the major multilevel marketing brands. Obviously there is no upline, thankfully. I’m looking for good quality oils without the hype. Thanks. LMK if you have more questions after reading that! This is superb, great article thank for you the information! I’m a firm believer in essential oils and will now definitely start using this one with my family. Excellent facts supporting this. Thank you for enlightenment. Hi Geri – thanks for asking. We think the more ways you use frankincense oil, the better. You can diffuse it using a diffuser like this: http://go.rockymountainoils.com/SHDr (It is important you use an ultrasonic or cold diffuser – you do not want to heat the oil when you diffuse it, as this will damage the oil). You can also ingest it by putting a drop or two under your tongue or you can try rubbing it on your temples. For overall body inflammation and gut health, what is the best way to use frankincense eo? Is it effective aromatically for those conditions, or should it be ingested? You can ingest it by putting a drop or two under your tongue or mixing it in water. You can also rub it on your temples. How can I obtain the oil as outlined in this wonderful site. Please let me know. I would love to purchase dime for me and my family. Thanks. I have started to use this and learn more about its multiple benefits instead of using 3 or more products I find this combination helpful. DoTerra Frankincense contains three varieties (Boswellia carterii, frereana, and sacra) and combat multiple issues that I am facing personally. I find it a small investment in my health and I suffer with anxiety, depression, and arthritis inflammation. DoTerra is a company that believes in empowerment on a global scale to bring Certified Pure Therapeutic Grade oils to the global market. While I am sure Rocky Mountain Oils or Young Living and other brands to be effective, I prefer DoTerra which is why I became a Wellness Advocate. Good luck to you on search and discovering which brand is right for you. Great article. I have taken 1500mg daily of Boswellia Serrata (boswellia resin extract) in tablet form for the past 18 months or so and it has totally solved my colitis symptoms, which had been in flare up mode for close to a year and not responding to the Lialdia medication I had been on. I’m not sure the relative merits of oil form versus tablet form but I find the tablets convenient to take three times a day. I am strongly considering phasing out the allopathic medication (entocort) that I am now on and seeing if the boswellia alone works, along with the wheat free real food diet I have been on for four or five years now. The only dietary change I made was to cut out tomatoes. I think it will because The resolution coincided with starting the boswellia and came a couple of months before my new gastroenterologist changed me from Lialdia to the entocort.